Upper right margin: And since the woman’s wish was granted, she kept her vow and brought the son to the temple and offered him [in service]. Lower right margin: And the priest of that temple had two sons and they became sinners because of having violated the [laws of] sacrifice; the father had seen them sin and had said nothing. 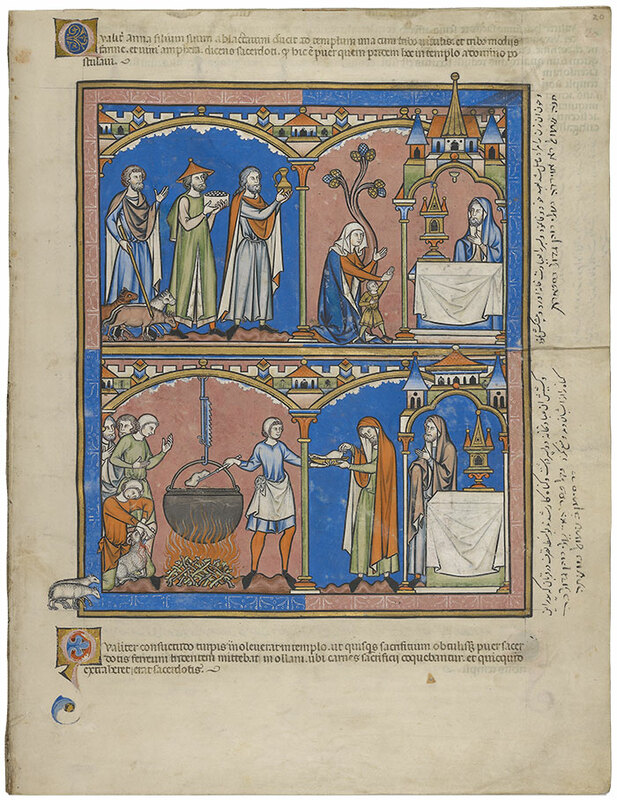 Upper right margin, furthest right: Hannah brings Samuel and entrusts him to Eil, the High Priest. Lower right margin, furthest right: The tale of the sons of Eli, the High Priest, as it is written in [chapter] 2 of Samuel.